This page will inform you of the origins of Hitman Tree LLC as well as our vision for the future. 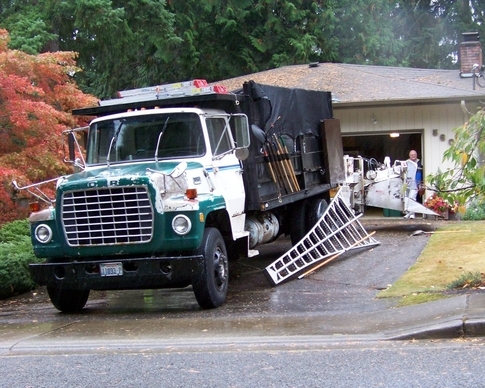 See background information on Mike Green, the owner of Hitman Tree LLC, and on the inner workings of this tree service. 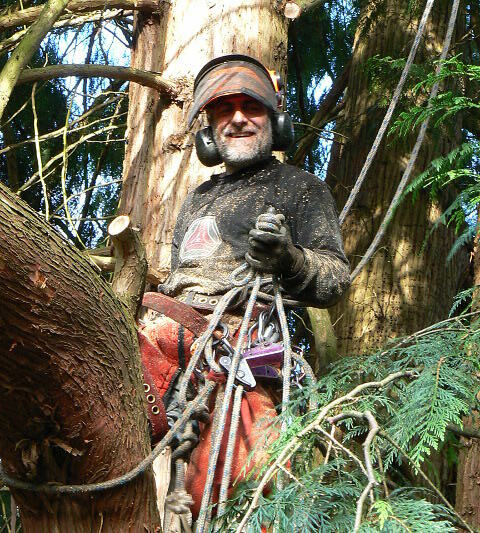 I used to work as a commercial fisherman in Alaska and gained some climbing experience in the tree service industry when I was in college. I was a natural in the trees since adrenaline based activities (skiing, rock climbing, scuba diving, etc.) have always dominated my life. Both of these prior occupations gave me valuable practical experience. Despite this, my first business venture was that of a retail puzzle store. Puzzles had always been near to my heart and now I see problem trees in much the same way as the puzzles I used to sell. Add in my perfectionist qualities and you have yourself a recipe for the Hitman, aka the Tree Mechanic. My name is Mike Green. I created this business back in 2004 after helping a friend out with a large Cottonwood. We began as a family operated service with the help of my lovely wife, Conni, my favorite eldest son, Parker, and my favorite youngest son, Kyler. At the time my wife and I worked for LWSD, she as a para educator and I as a school bus driver. I would do bids and tree work during my three to five hour break on weekdays and bigger jobs with my family on the weekends. It was a real challenge. 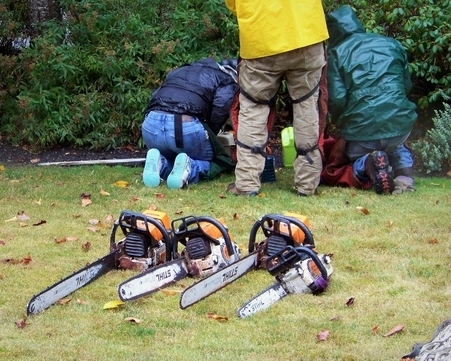 Using methods I developed over the years, we found it to be faster and safer to dismantle a standing tree rather than felling it and cleaning it up on the ground. We have always focused on providing a superior service for less and are constantly searching for new methods to apply to the work we do. Our impressive skill set allows us to avoid the use of costly cranes. Reduced risk and complete control is our aim. Zero damage is our goal. Crew safety is one of our top priorities. We use Bluetooth communications while we work which adds an obvious level of safety to our job sites. As an ancillary benefit, it makes for a more pleasant day because it can be frustrating to work without being able to hear one another as you can imagine. Exhausting schedules are the norm for our business but our experienced crew can handle almost anything. Our referral base is awesome; we have no need to advertise. For every completed job, we receive multiple new job requests from interested parties. If we had enough trained climbers, we could put out five plus crews a day. During our growth phase, we ask for your patience as we implement a model that can support the growing demand. I try to hire only the best of the best in this line of work. I want everyone that works with us to have experience climbing and/or knowledge of our climbing techniques. This means that everyone on the job site is aware of exactly what the climber is doing and maybe more importantly, why. I am always in the market for people with the right work ethic. They must be team players and be pleasant to our customers. Independent thinkers are strongly encouraged. I want the crew to develop a business-owner mindset and be able to grow their own business. Those who can keep their commitments are highly prized. Climbers who have been working in the field generally have the core strength and basic skills needed to quickly ascend to an elite level. We do train beginners to climb but it often takes at least six months to bring them to a basic level of competency in the trees. Not everyone is capable of completing the program.